Posted on 12 December 2010 by Nate Rosenberg. This entry was posted in Quick Posts. Bookmark the permalink. Congratulations Nate! That’s great news! I wish you all the best at XO! You’re a dork, Nate! How’s it going at your new fancy shmancy job? I’m hosting the Job Fair of Las Vegas on the 31st of March and started researching XO. 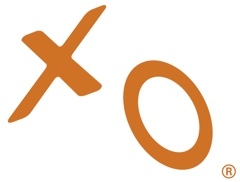 XO is in most of my region and has a presence in my partner’s areas. Can you get me a recruiter contact that i can present to by phone or e mail?